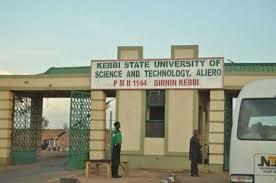 The Academic Staff Union of Universities (ASUU) - Kebbi State University of Science and Technology, Aliro (KSUSTA) Chapter Finally Suspends Total, Comprehensive and Indefinite Strike Action. This is to inform all Students and the General Public that the ASUU-KSUSTA Branch has finally suspended the total, comprehensive and indefinite strike action on Monday 9th April, 2018 by 12noon. The Decision was approved by the National Executive Council (NEC) of the Union. ASUU-KSUSTA commends members for remaining resolute and steadfast during the course of the struggle.